We all know that it is important to spend time with our children. Fortunately this gift of time is the often fun part of parenting. The spontaneous hugs, the moments of sweet connection, laughing together until your stomach hurts, the joy of playing and creating. With that in mind, I got to work and wrote Unplug. I wanted to create a resource that would help you have fun with your family. Unplug is filled with activities you can enjoy with your kids. Activities that don’t require much preparation, in fact many of them require NONE at all. Some require a few materials and a little planning, although not too much I promise. 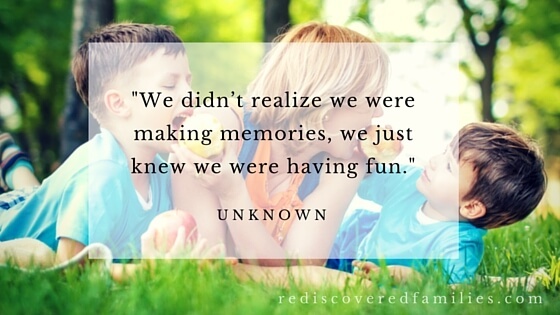 They will all help you build memories, spark imagination, and encourage creativity. Does it sound like something you can use? I hope so! Simply type your best e-mail in the form below this post or at the top of this page. You should have received a short e-mail from me last week. You’ll find the link inside. I understand that g-mail may have sent my e-mail into spam folders, so check there if you didn’t receive it. If you don’t see the e-mail there send me a message and I’ll resend it. I made this book for sharing. If you have friends or loved ones who might find this book helpful could you please share this article with them. Use the social media icons at the end of this post or send them a link in an e-mail. 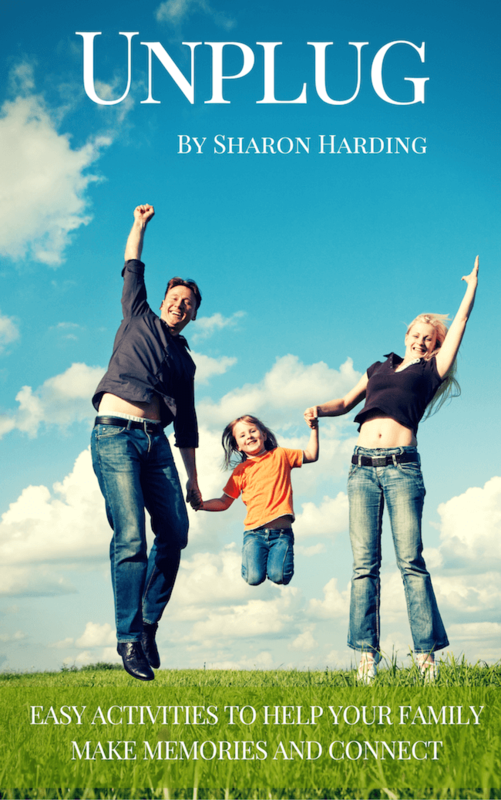 I hope you enjoy my little book and find it helpful in your parenting journey. I’d love to hear what you think. Received my copy Sharon! What a wonderful collection of ideas to foster deeper connections with our children. Thank you so much for creating it! What a great idea. I appreciate that most things don’t require any planning!